Special Containment Procedures: As SCP-922 is localized on the campus of the University of █████1 and the surrounding neighborhoods, containment efforts are restricted to the areas designated by Site Director al-Zarqa, cumulatively identified as Site-305. Personnel are to maintain absolute secrecy and discretion when interacting with students and faculty of the University under the guise of campus security and/or custodial staff. Cooperation with local FBI Unusual Incidents Unit affiliates is ongoing in order to locate and identify a potential source for SCP-922, if at all possible. - Personnel are not to engage students, faculty, or civilians on-site without prior approval from level 4 personnel. - Personnel embedded within the University of █████ at risk of discovery by students, faculty, or civilians are to resign and/or withdraw from their cover positions and submit all gathered information to their project overseer alone. No other individual, regardless of rank or class, is privy to this information. - Personnel are not to respond to on-site incidents, up to and including threats of violence directed against personnel, unless such threats appear to place personnel in a situation of imminent danger. - Embedded personnel are not to contradict inaccurate statements made by students, faculty, or civilians. The number of on-site personnel is to be maintained at a consistent 601 644 to prevent discrepancies related to SCP-922's effects. A selection of 13 level 4 personnel on-site have been authorized to make note of or "mark" any level 3 personnel or below who are suspected of having been anomalously created by SCP-922. Personnel who are "marked" are not to be re-assigned without the authorization of Site Director al-Zarqa and at least 10 of the 13 authorized level 4 personnel. If authorized, these individuals are to be given amnestics and monitored at their new assignments. The identities of the 13 authorized level 4 personnel are to remain classified to all personnel save for Site Director al-Zarqa and the O5 council. Description: SCP-922 is a reality-altering phenomenon affecting all 2█,███ students and faculty of the University of █████ located in █████, ██, as well as an additional 9██ civilians in the surrounding neighborhoods. Affected individuals display a number of discrepancies in memory, including recollection of non-existent events and individuals. Additionally, SCP-922 may or may not be responsible for creating new individuals, most of whom have been positively identified using local census records. The nature of the anomaly's effects make it unknown as to whether these individuals are newly created or have been previously removed from the memories of fellow students or faculty. Alterations made by SCP-922 have indicated a behavioral pattern of evasion and deception based on indirect interaction with Foundation personnel. Further investigation and research into a possible conscious source to the anomalies is pending. SCP-922 was first discovered in August 2009 when several students attempted to drop a course (SCP-922-2) they did not register for. The registrar was unable to find any information on the course in question, and the registry numbers for the course in question were found to be non-existent in the campus course catalogue. The class was labeled as "Barricades, Borders, and the Bourgeoisie: America and the New Deal" taught by a Professor "Martina Bauer", with the class location and time labeled "TBA". Additional records in the campus registry were discovered to have significant discrepancies, drawing the attention of a local FBI affiliate investigating suspected fraud and fiscal misconduct. The appearance of anomalously created FBI agents lacking physical documentation (but maintaining highly sensitive information) drew the attention of the Unusual Incidents Unit, and later the Foundation. 186 students present on-campus were not registered in any systems. All 186 students could provide school ID cards and official schedules bearing student IDs. 15 custodial employees' entries contained falsified information apparently duplicated from another staff employee. 32 students were duplicated using different student ID numbers, totaling 100 fictitious registration entries. Over the course of their enrollment, 12 of the students provided student IDs with information matching different duplicate entries at different times. None of the students claim to have multiple ID cards and could not provide an explanation for the apparent discrepancies. Two professors possessed no employment records or registration information. (Determined to be caused by a filing error. The professors have since been cleared). █ students, male and female, have claimed to be "Joshua ██████ █████", a freshman student described as a black Hispanic male. None of the students claiming to be Mr. █████ are black Hispanic males. All have provided student ID numbers and ID cards bearing their respective photographs. None of the cards show signs of forgery or tampering. 1,399 students were assigned to the same two dorm rooms in the ██████ Residential Hall (four stories, maximum occupancy was listed as 450 students). Foundation agents sent to investigate reported nothing anomalous regarding the ██████ Residential Hall. Note: See Incident 922-0A. 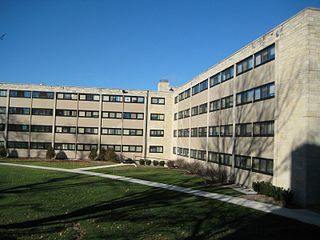 ██████ Residential Hall prior to Incident 922-0A. Photo provided by an out-of-state alumnus. Incident 922-0A: Following the report given by Foundation agents, an additional 4 individuals claiming to be Foundation agents reported in to handlers claiming the ██████ Residential Hall did not exist. The individuals claimed to be present at the reported location of the hall and reported that none of the students nearby could corroborate the alleged existence of the ██████ Residential Hall. ██████ Residential Hall photographed by on-site personnel following Incident 922-0A. Questioned by the handlers, the two individuals identified themselves as Agents Jones and Tizona. The handler confirmed their identities and ID numbers, but claimed not to have dispatched the two to investigate. Personnel reported to the location and positively identified a seven-story building as the ██████ Residential Hall (placards within the building listed the maximum occupancy as 1500). 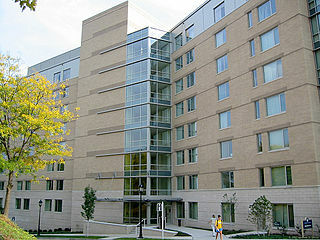 Campus records continued to refer to the Hall as being four-stories tall with a maximum occupancy of 450. Copies of all these records have been made and uploaded to Site-305's database, allowing for the campus to update records regarding the residential hall. Incident 922-0B: University records archived at Site-305 have been moved off-site after it was discovered several entries had been altered to reflect updates made to the actual records by campus personnel. Further information regarding SCP-922 is currently restricted to Level 5 personnel and pre-approved individuals already privy to the information detailed below. Determine whether or not SCP-922 is directly or indirectly responsible for the anomalous creation of previously non-existent individuals. Determine whether or not SCP-922 is sentient as a result of patterns of alteration made apparently in response to Foundation investigative efforts. Determine if the effects of SCP-922 have spread beyond its observed area before or since discovery. Results of the █-year review found discrepancies in the number of on-site personnel ranging from 133 to 700 individuals. 78 individuals were "marked" by authorized level 4 personnel as being potentially anomalously created, with an unspecified number of other personnel claiming to be unaware of the 78 individuals as being Foundation employees despite proper documentation and identification. Further investigation eliminated 30 of the individuals from suspicion (notably: the 30 individuals could be accounted for with proper documentation and references from off-site personnel and/or former non-Foundation co-workers). An additional 118 individuals were found to have no record of having been assigned to Site-305, and another 20 had no record of having been employed by the Foundation. These 138 individuals were recognized and identified by on-site personnel as long-time (longer than █ years) employees. The 186 individuals (along with an additional ██ individuals) were interrogated by Foundation personnel at Site-██, where it was determined that none of the individuals displayed any anomalous knowledge or behavior inconsistent with their alleged station/profession. None were aware of the full effects of SCP-922, nor had any connection with one another prior to discovery. Over the course of the interrogations (some ██ days), an additional 74 individuals were cleared of suspicion. Documentation for these individuals was corroborated with references from friends and relatives and/or co-workers at a variety of Foundation Sites. The remaining individuals could not provide information regarding existing friends or relatives, and have been tentatively placed in containment, pending further research. Addendum 2: The following letter was delivered to the offices of the O5 council from the office of Dr. Jaime Marlowe at Site-19. Dr. Marlowe herself was contacted directly and confirmed she had sent the letter in question and attested to the accuracy of its contents. Contents of the note are logged below. Some time ago, I was contacted by a junior researcher regarding some of my work. I later reviewed their work, and found that I had been cited in an article apparently co-written with an individual named Tahirah al-Zarqa. I did some research on al-Zarqa and discovered she was Site Director in ███████, overseeing containment of SCP-922. I pulled up the article in question and read over its effects. Namely, those regarding the "anomalous creation" of clones or whatever it was. I have never heard of a "Tahirah al-Zarqa" working for the Foundation. I have never read any articles submitted by her prior to this SCP-922, and I have never co-authored anything with anyone named Tahirah al-Zarqa. No one I've talked to knows anything about Tahirah al-Zarqa and, after doing some independent research, I found that pretty much no one outside of ███████ has heard of Tahirah al-Zarqa. I don't know how long this has been going on, or how long she's allegedly been a Site Director. If this is part of some other anomalous research or an experiment, please disregard all my concerns. But given the effects described in the documentation of SCP-922, I assumed the worst. From the office of Dr. Jaime Marlowe. 1. For the purposes of secrecy and continued containment efforts, the name of the university in question is censored in this document to all personnel not assigned to Site-305.